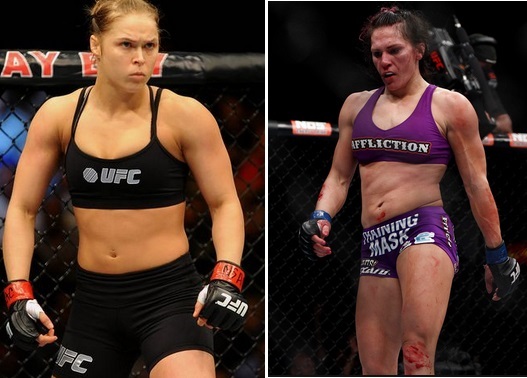 Ronda Rousey’s fight against Cat Zingano has got much needed publicity and since two women bouts will be on the card it will be interesting to see how this pans out. As far as fight purse is concerned for both Rousey and Zingano the details are out and there is a surprise in the numbers with Cat Zingano’s purse is more than Rousey. According to California commission Ronda Rousey purse is $65,000 guaranteed and $65,000 for winning the fight while Cat Zingano will be making around $100,000 guaranteed and $100,000 if she wins the fight. NOTE: The figures are disclosed by California Athletic Commision and the figures above only show the guaranteed purse and the winning bonus. other PPV sharing and performance related bonuses are never disclosed to public. Plus the figures do not include the sponosorship money (if any) paid to fighters on their performance or otherwise.